Two Festivals. One mission. 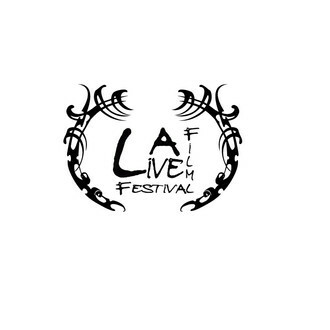 LA LIVE FILM FESTIVAL’s mission is to provide a festival where filmmakers are treated with respect and given opportunities that empower the filmmaker’s career while being showcased at the most prestigious location in Los Angeles, Regal Cinemas at LA LIVE. We strive to do things differently than other festivals and part of how we do this is the way we market the selected films. We believe that helping others is the only way to operate and want filmmakers that also have this mindset, so we cultivate a working community in Hollywood that will continue to extend past the festival. We are fortunate again this year to have our sister top-tier woman’s empowerment festival, RISING ABOVE FEST, join us. Rising Above was created by multi-award winning Producer/Actress/Writer Summer Moore and features projects that “rise above” obstacles and challenges and empower the audience with a message. In 2017, many press venues were in attendance, including “Huffington Post.” As we strive to help advance women in film, we welcome film’s to submit that are Produced by, Written by, or Directed by women. The ROSWELL SCIENCE FICTION and FANTASY Film Festival is the only film making festival dedicated to bringing artist's visions of the universe to the UFO capital of the world. It provides a venue for independent SCI-FI/FANTASY filmmakers to get their films screened as well as network with some of the best independent short and feature-length genre filmmakers in the world. Now in its seventeenth year, the KIDS FIRST! Film Festivals which offers a showcase for short and feature films from major studios as well as independent and student filmmakers. The Festival partners with more than 50 venues nationwide that host screenings of our juried films year-round. Youth are given a true voice - as curators, audience members, critics, volunteer staff and as filmmakers showing their own work. Almost one-third of the films accepted every year are from student filmmakers from all around the world. The KIDS FIRST! Film Festival showcases new and classic children's films, TV programs and DVDs from studios, independent producers and youth producers. KIDS FIRST! partners with more than 50 venues that showcase its selections for their kids and family programming. Please read our festival description carefully and do not submit if anything is unsuitable to you. At Women Over 50 Film Festival (WOFFF) we showcase the work of older women on both sides of the camera. We look to them to drive our stories – as film-makers and performers. Each film we screen at WOFFF has to follow this one simple rule – it must have a woman over 50 at its centre or a woman over 50 in the core creative team (writer, producer, director). All films selected for screening at WOFFF are eligible for our competition. Films are judged by professionals from each category field - animation, experimental, drama, and documentary. Our audience also votes for its favourite film which is given an Audience Choice Award. In 2018, WOFFF introduced a new prize for short student films. Student submissions are free to enter. Now in its 14th year, the Vancouver International Women in Film Festival (VIWIFF) showcases an impressive line-up of short and feature-length films (narrative, documentary, experimental and animation) by established and emerging women filmmakers from around the world. This six day celebration is organized by Women in Film and Television Vancouver, a not-for-profit society founded in 1989 to advocate for, celebrate and promote women working in screen-based media. VIWIFF continues to provide a platform for challenging gender imbalance and the lack of diversity in the Canadian screen-based media industry through a combination of film screenings, discussions, and professional development opportunities as well as incorporating International Women’s Day events into its programming. The festival will be held March 5-10, 2019 and screens films with women in at least three of the following seven key creative roles: Writer, Producer, Director, Cinematographer, Editor, Composer, Lead Performer. Films completed after March 2016 are eligible. International films, as well as films from students, are encouraged and welcomed. Full film submissions guidelines available here. The festival is a project of the Athena Center for Leadership Studies at Barnard and Women and Hollywood, a leading voice for women in the entertainment industry. The Artemis Rising Foundation and its CEO Regina K. Scully is the festival’s founding sponsor. The eighth annual Athena Film Festival will be held Feb. 28- March 3, 2019. The submission period will close on August 15, 2018.